With a career spanning 40 years, Pat made a huge impact on Northeast Ohio workplaces and in the human resources profession. He is the former Chairman of ERC, an HR consulting, training, and research organization established in 1920. Prior to being Chairman, Pat was ERC’s president for 20 years. He is credited with leading ERC’s turnaround in 1998 and guiding the organization to national expansion, resulting in 20 straight years of sustained profitability and growth. Pat is known as an innovator in workplace best practices and is considered a regional thought-leader on hiring and retaining top talent. He is the architect for the nationally acclaimed NorthCoast 99 program, an award that recognizes best Northeast Ohio workplaces for top talent. In addition, Pat is the co-creator of ERChealth, a fully-insured health insurance program for mid-size businesses in Ohio. Pat was named Northeast Ohio’s “Best Boss” by Inside Business magazine. His leadership style is characterized as non-traditional and provides team members an opportunity to have great jobs in a unique work environment. Pat is also known as one of the area’s leading advocates for prioritizing employees and their families over profits. Prior to ERC, he held a variety of human resource and leadership positions with KPMG, University Mednet, and AIM Executive. As a writer, Pat has published over 300 business, HR, and leadership articles. He is the HR and business columnist for Community Leader magazine and The News-Herald. Pat has authored two books: Re-Shape Re-Define Re-Imagine (2016) and, most recently, Business Lessons Learned Along the Way. Giving back has always been important to Pat. 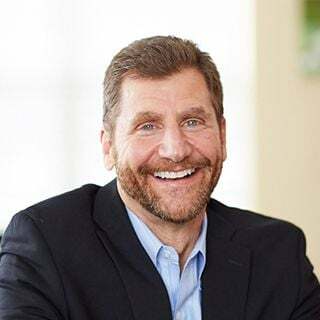 He has served as a board member for the Make-A-Wish Foundation, Lake County Society for Human Resource Management (SHRM), Leadership Lake County Alumni Association, Mentor Area Chamber of Commerce, and the Lake Educational Assistance Foundation. Pat has also chaired the Northeast Ohio Human Resource Conference (NOHRC). He is a graduate of the Leadership Lake County program and has been recognized as Member of the Year by the Cleveland and Lake/Geauga SHRM chapters. In November, 2018 Pat was inducted into the Cleveland Business Hall of Fame. Pat received his undergraduate degree in business from the University of Dayton and an MBA from Bowling Green State University. He earned his SPHR certification from the Society for Human Resource Management and is an adjunct faculty member for Lakeland Community College. He has also taught at Cleveland State University and Baldwin-Wallace University. Pat is a frequent keynote speaker and leadership facilitator. In the perfect work world everybody loves their job and are really happy with their work. Unfortunately, reality would suggest that this is not true in too many cases. If you find yourself embracing “living for the weekend” and thanking you-know-who that it’s Friday, consider that you might only be “living” two out of every seven days. And, since we only have one pass through this life, maybe it is time to consider enjoying seven out of seven days each and every week. That would mean enjoying work every day in addition to non-work activities. In this thought provoking presentation, Pat will explore some practical approaches to a pathway of long term work life happiness. Top performing employees expect employers to support a “balance” between work and family. Though there are laws like the Family Medical Leave Act mandating certain leave provisions for employees, family-friendly workplaces are often characterized as organizations that go well beyond state and federal employment law to support workers’ family needs, desires and obligations. In addition to “family-friendly workplaces,” the phrase “work/life balance” is used as another descriptor related to employees’ management of personal and work obligations. As these concepts have gained momentum, employers are faced with the challenge of supporting employees’ family/personal needs and obligations while managing the business. No doubt, the workplace has become a tough balancing act for both employee and employer. Yet, when both needs are met, the results are impressive and can help position the organization as an “employer of choice” for top performing employees. In this program, Pat shares thoughts and ideas to consider when assessing your organization’s support of the family-friendly workplace initiative. In this fast-paced, fun and interactive presentation, Pat will share observations from today’s workplace that will make you think differently about leadership, jobs and success. There may never be a more critical time for area businesses, and the ability to attract, retain and motivate the next generation of workers will be a game changer. The business world is changing daily and how we manage the change and lead must change. When Pat started his career, things seemed pretty simple. You worked hard, worked long hours, never questioned authority and focused squarely on the bottom line. It's just the way Baby Boomers were brought up. You were expected to be loyal to the company no matter what, and job change was abnormal and certainly infrequent. It was not uncommon to know people in your company that worked 15 to 40 years at the same place doing the same job. Concepts like a 'global economy' did not exist, and the technology and information distribution channels we see today were in their infancy. Employee values have changed dramatically, we have four distinct generations in the workplace today, and managing the volume of real-time information has certainly altered business decision making. Employees are questioning everything, company loyalty is no longer a given, and business leadership is no longer perceived to be aligned with organizational hierarchy. In this session, Pat discusses some emerging concepts that are developing with industry-leading companies. Based on Pat's book, this presentation packs a punch, focused on how to significantly enhance personal and professional success. It will inspire attendees to take a "look in the mirror", and take steps to getting the most out of their professional and personal lives. This "wake-up call" talk will touch on the 6 key steps to becoming more successful. Pat inspired our entire team at the highest level by skillfully leading us on a journey to examine ourselves and those we lead to achieve superior performance. During a single half day session, Pat changed Managers into Leaders by allowing them to see themselves through the eyes of those they lead. Pat is a Rockstar. I recently heard Pat Perry's presentation about "Why Rabbits are Green" at a recent SHRM Chapter meeting. As always, it was a cutting edge thought process for the future of HR. We all need to embrace the child within us to remain creative thinkers. This is what we expect from our employees so let us lead them into the future and we can become the employer of choice. Pat recently gave his ROAR—Leadership Redefined presentation to our management team and we have never received such fantastic feedback! Some included: "I have already prepared content for my upcoming team meeting to challenge my team much as the way Pat challenged us." " I can honestly say this was the most motivational and inspirational speaker we've brought in". Pat is an incredible speaker who gives his audience food for thought on innovation, family, trust and what success really is—we are planning to bring him back every year until he won't have us anymore! So inspiring!